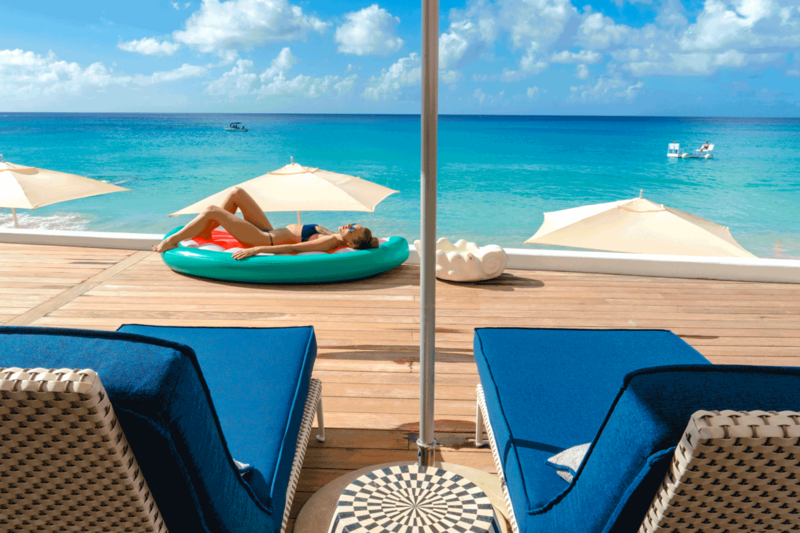 The Fairmont Royal Pavilion resort is one of the most exclusive resorts in Barbados. 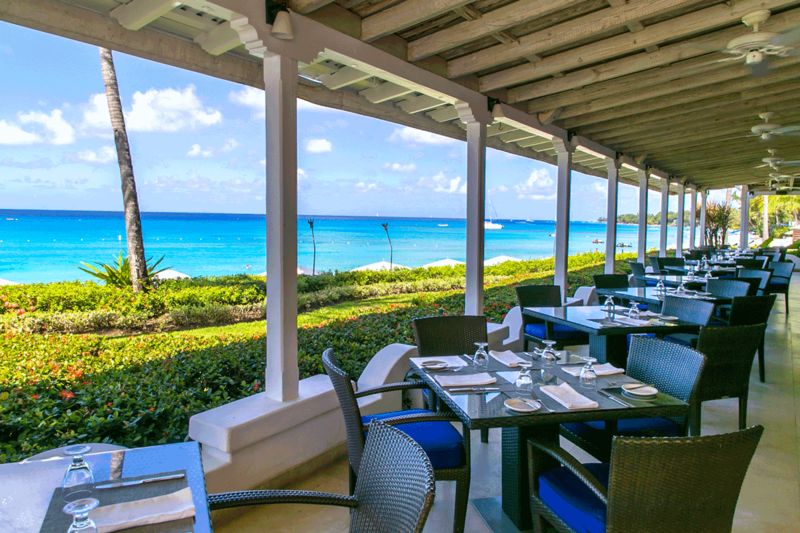 Formally the Miramar Hotel which was built in the 1940’s as the first hotel constructed on the west coast of Barbados. 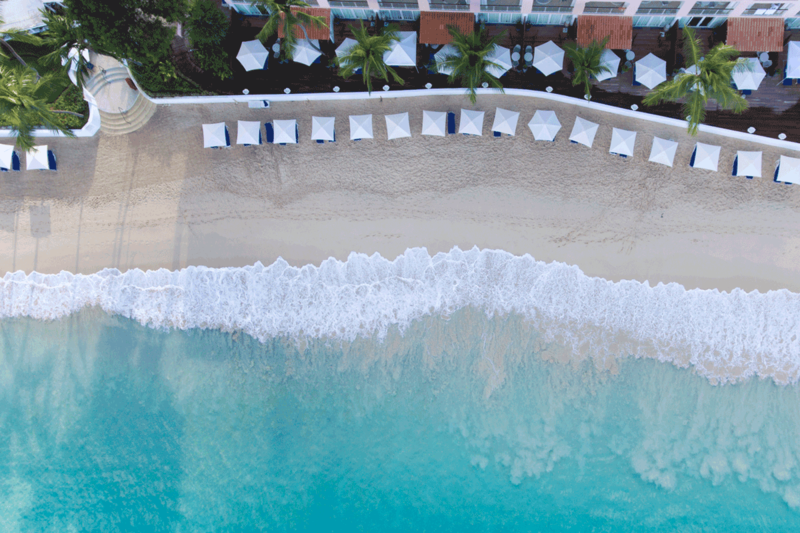 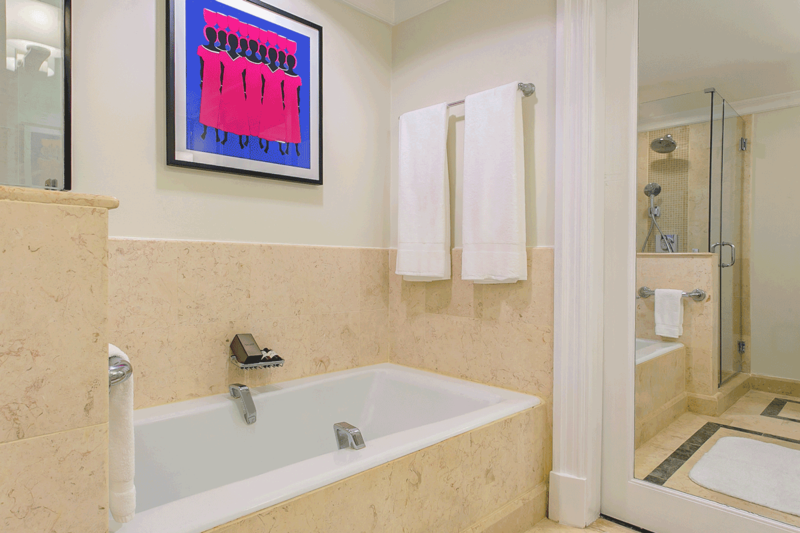 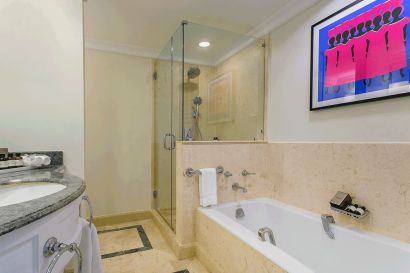 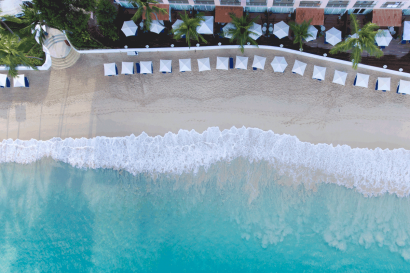 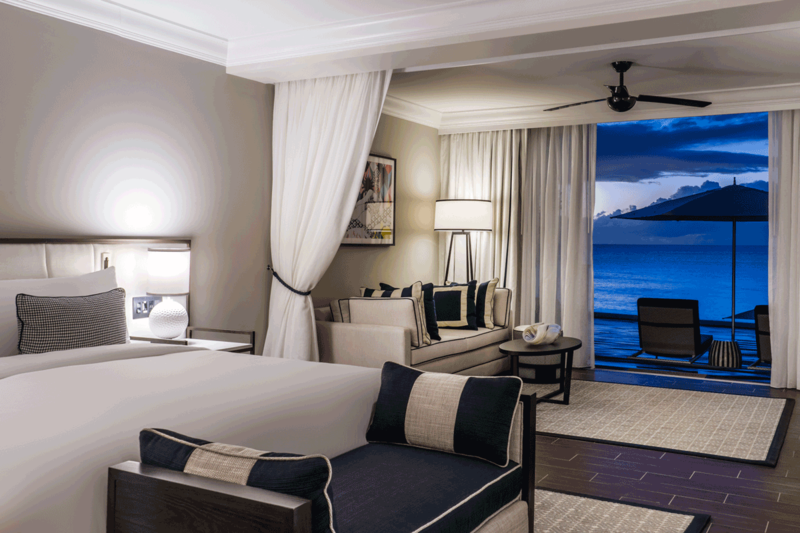 Each of the 72 guestrooms faces the Caribbean Sea, Oceanfront Deluxe guestrooms offers 500 sq ft of well-thought space. For the discerning guest looking for a superior experience, each of the ground-floor 650 sq ft Beachfront Junior Suites offers superior services and exclusive amenities, including an airport fast track service, a dedicated Butler, daily in-room amenities and complimentary evening canapés. 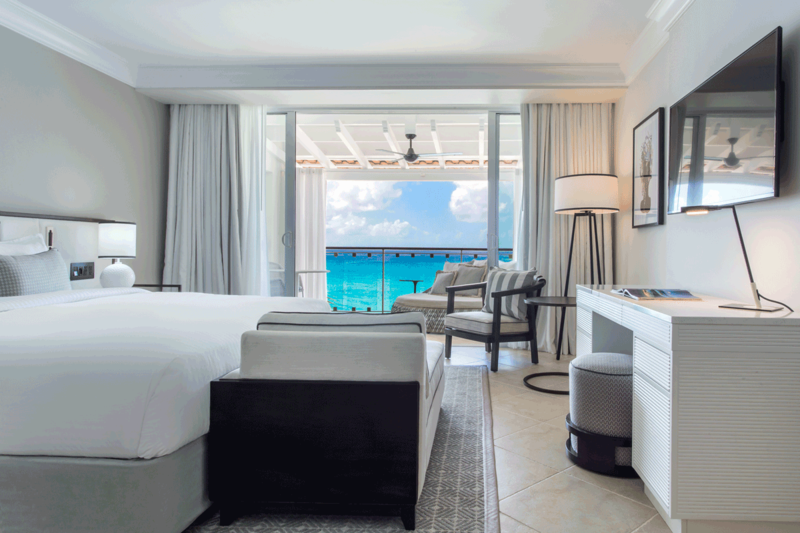 The Beachfront Junior Suites feature a 250 sq ft private residential styled deck and outdoor living area, with direct access to the beach. The Fairmont Royal Pavilion offers an array of complimentary services that add value and convenience, including daily afternoon tea served at Taboras restaurant, WiFi, fitness room, tennis courts, non-motorized water sports, swim with the turtles activities and garden tours. A multi-million dollar renovation at Fairmont Royal Pavilion has dramatically changed the hotel’s guest rooms and raised the bar for luxury hospitality in Barbados. 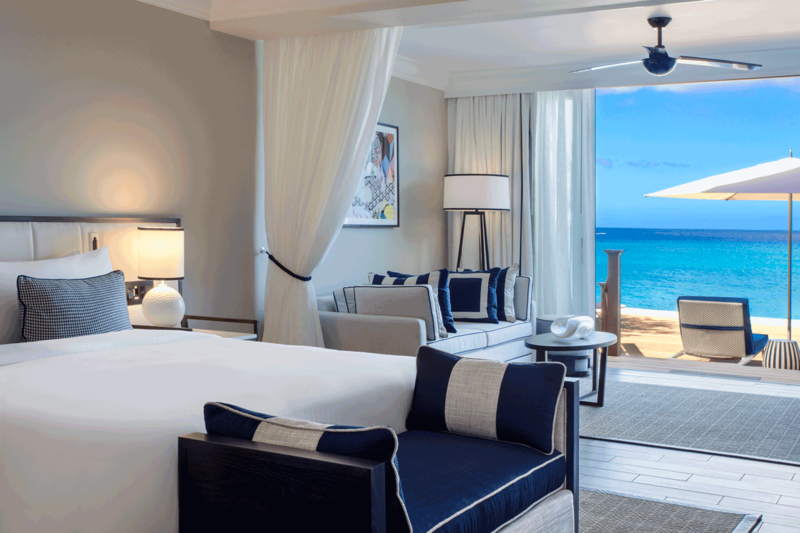 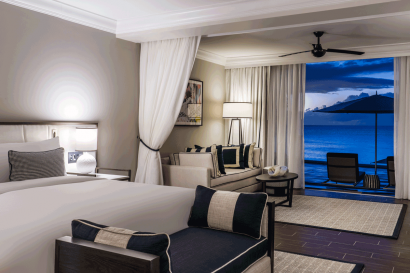 In November 2017 the restoration, designed to significantly enhance the facilities of the Fairmont Royal Pavilion, Barbados was completed with the unveiling of newly restored guest rooms – all which are directly beach front. Location, beach front, all rooms face the ocean, hotel size (boutique) understated elegance, low density, genuinely friendly staff. West coast of Barbados, near Holetown. 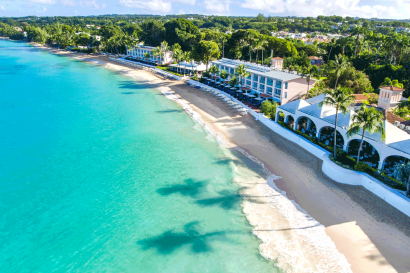 • Bathsheba – a small fishing village on the east coast, Royal Westmoreland 18 hole championship golf course, and Apes Hill Golf Course. Turtles live in the half-mile bay year-round and nest on the beach. 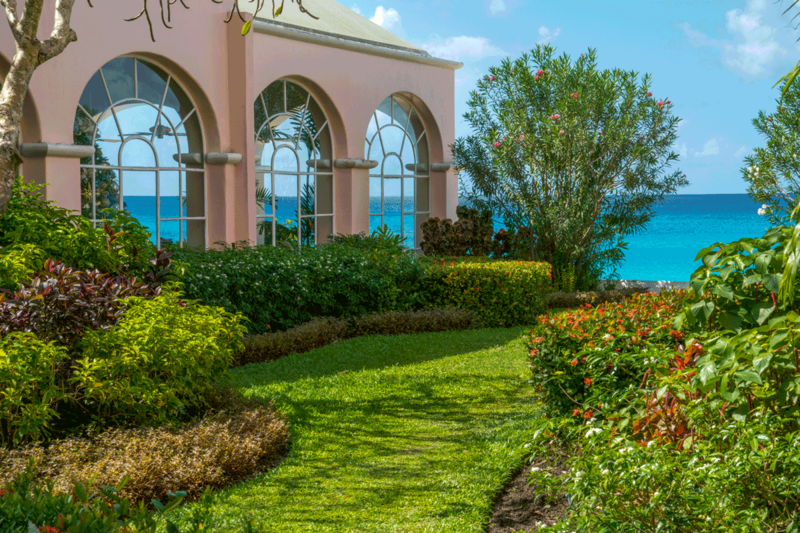 Fairmont Royal Pavilion’s watersports staff take clients out to swim with the turtles on a daily basis. 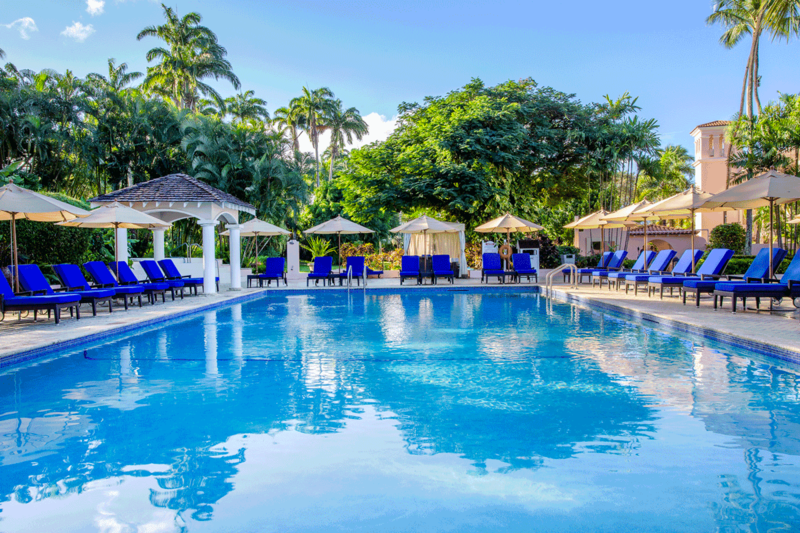 We are pleased to announce starting December 18th, 2018 we will be a children friendly resort all year-round. • Chef Kirk Kirton – a local Barbadian, previously Executive Chef at the Lone Star Restaurant, Treasure Beach Hotel & the Royal Westmoreland resort, Barbados. 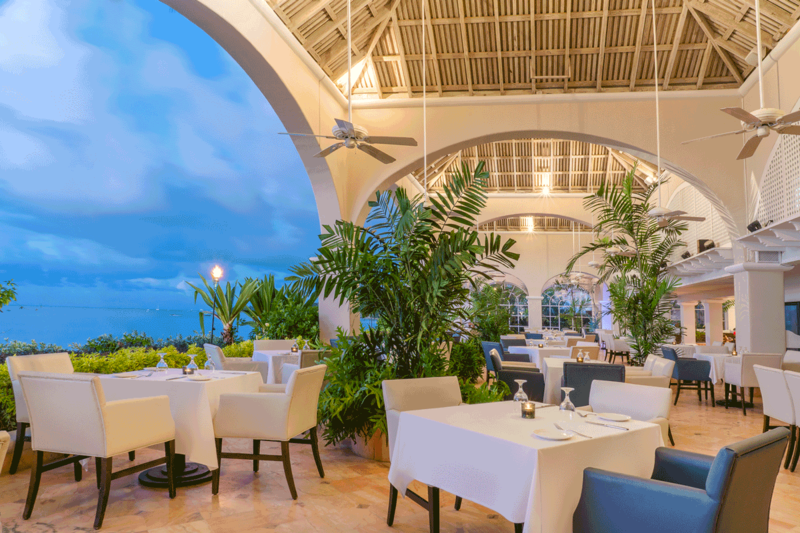 In England, he worked for Nico Ladenis as Sous Chef at the three-Michelin-starred Chez Nico. • Outdoor freshwater swimming pool.